The CBS news program 60 Minutes had reporter Leslie Stahl interview Jack Horner and Mary Schweitzer (North Carolina State University) about trying to re-creating dinosaurs using chickens. 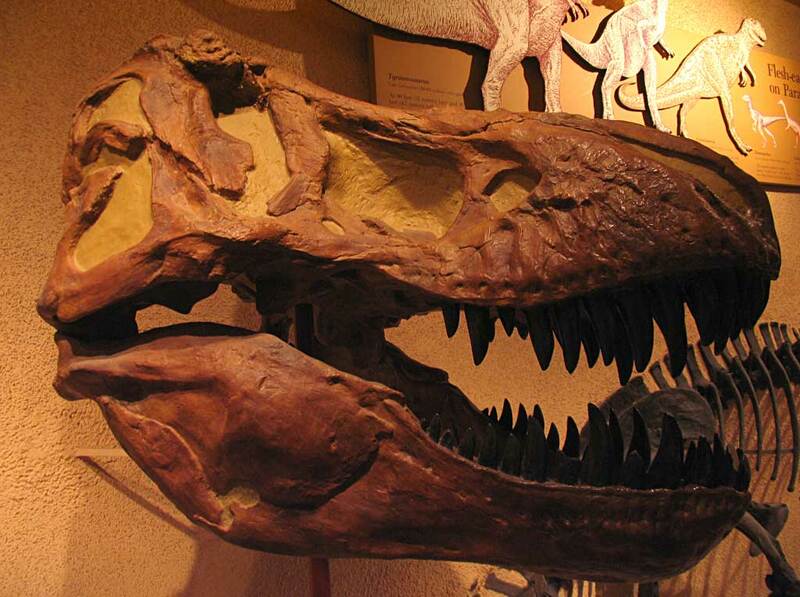 The B-rex named in the title is named after a T-rex specimen found by Bob Harmon in 2000. The fossil was too big to airlift from the find location so they cut it to reduce weight. The part of the cut fossil bone were then sent to researcher Dr. Schwitzer who after dissolving pieces in acid found a soft tissue like substance. She was able to reproduce this with other dinosaur fossils. Now they are trying to find DNA which could then be used to replicate a dinosaur. Here is a direct link to the story if the embedded video is not showing up correctly on Blogger. Dinosaur fossil cast shown in this post does not relate to this story and is just here for reference. 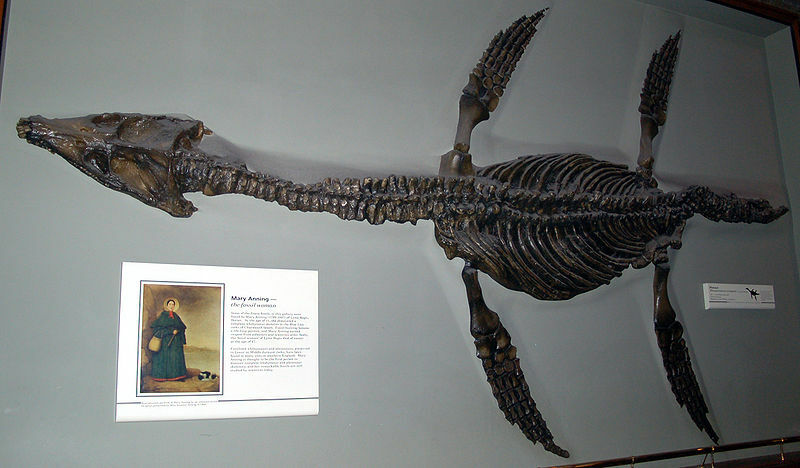 It is on display at the Smithsonian National Museum of Natural History as of August 2010. Skull fragments of a 10-16 m pliosaur marine reptile found in 2009 (Dorset, England) will be CT scanned at the University of Southhampton in the UK according to a December 22, 2010, BBC story. This link leads to the story by Rebecca Morelle entitled, "Colossal pliosaur fossil secrets revealed by CT scanner". Learn more at that video link provided. The marine reptile known as the Pliosaur existed in the Jurassic and Cretaceous Periods (learn more at this Wikipedia link).